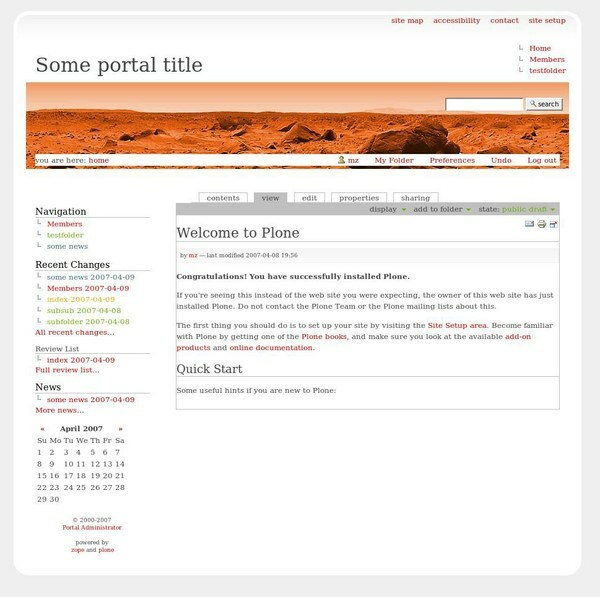 MzRedPlanet is a product that adds a new style to a Plone 2.5.x portal. Derived from the RedPlanet theme from WordPress this skin presents a clean yet stylish 2 column layout sporting an unclusterd yet pleasing look. The minimum screen resolution for this theme is 1024×768. 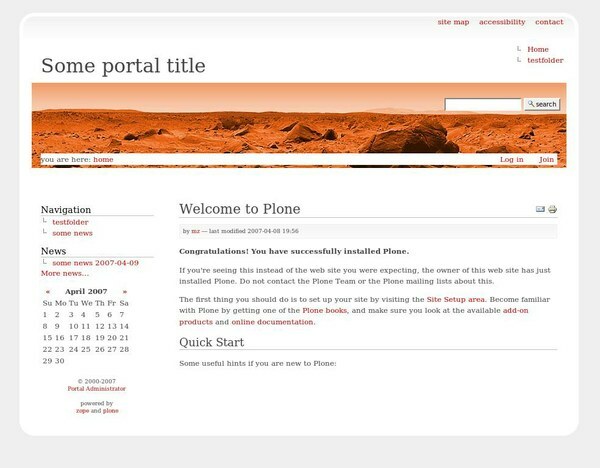 MzRedPlanet is based on DIYPloneStyle 2.5, a skeleton product ready for building new graphical designs for Plone. Based on a custom main_template the focus of development was placed on easy custommization and a leightweight css definition.